Bring joy to someone special with this simple composition. 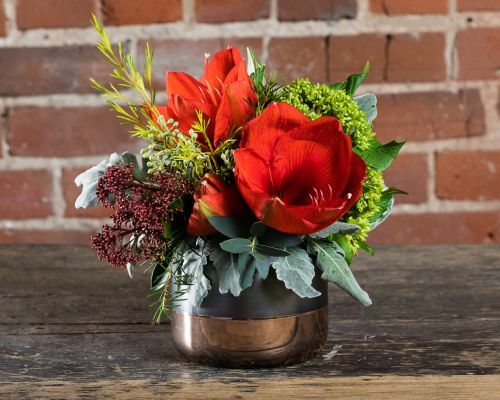 Orange amaryllis, mini green hydrangeas in a gray and rose gold vase. Amaryllis may be substituted accordingly.